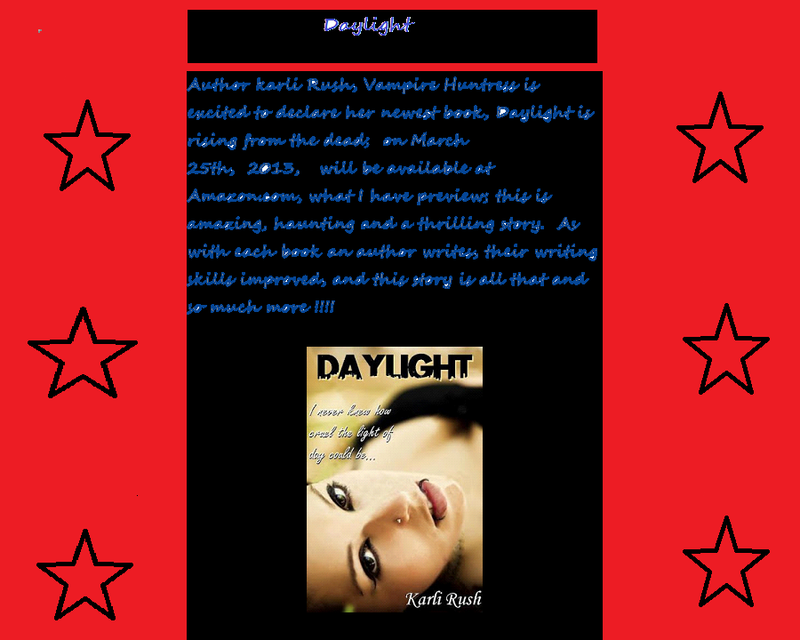 Author karli Rush, Vampiric Huntress is excited to declare her newest book, Daylight is rising from the dead; on March 25th, 2013, will be available at Amazon.com, what I have preview; this is amazing, haunting and a thrilling story. 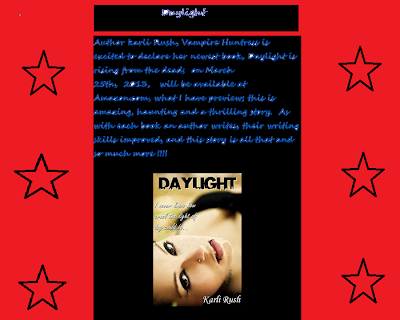 As with each book an author writes, their writing skills improved, and this story is all that and so much more !!!! Favorite music/song(s) that was listened to, to write this vampiric tale.